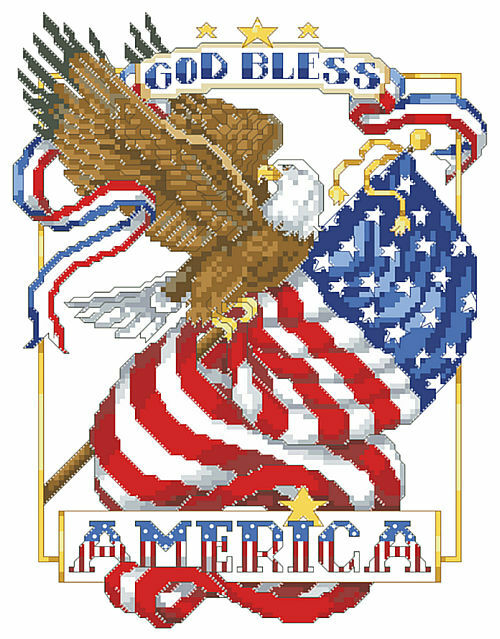 Your patriotic spirit will shine when you stitch this magnificent bald eagle holding firmly to the Stars and Stripes flag of the United States. The banner declares God Bless America in bold letters and brilliant red, white and blue. Contents: Stitch Count 93w X 121h, Finished size on 14ct: 7" x 9"